Solid brass Harley-Davidson “Patriotic Eagle”. The classic Zippo is a versatile little beast. 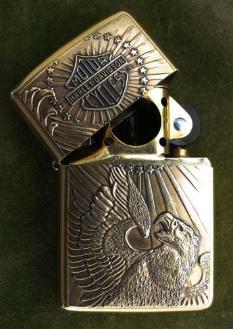 Your favourite standard size (non-slim) lighter can be retro-fitted with a pipe lighter insert. FLHRCI Road King Classic. From the Johnny Long collection – PCol UK603F.